The 128th Carnival of Nuclear Energy Bloggers is up today at Atomic Power Review. Will Davis gets into the spirit of the Carnival with a guessing game: "What is this picture?" Will, this picture was too hard for me. I had NO clue. You just have to make these pictures easier to guess. I was reduced to trying to figure out the time frame by how people were dressed. Men in hats? 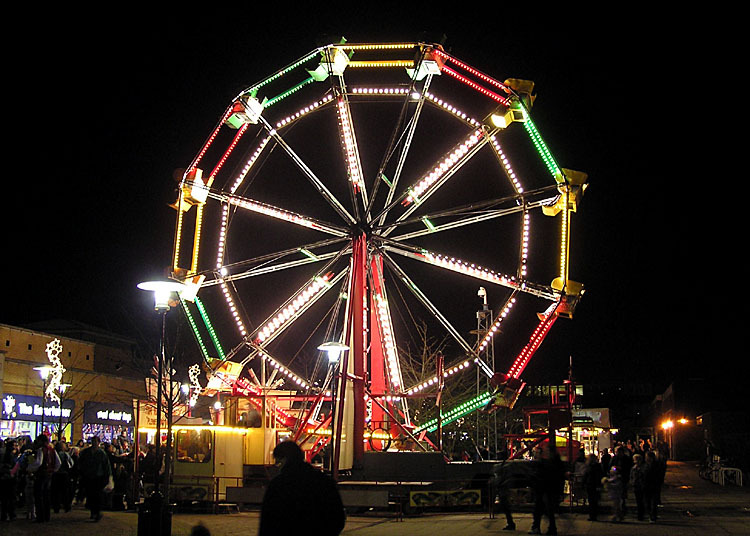 However, I assure you that even if you can't guess the picture, you will still enjoy the Carnival! It contains news about Japan, Vermont, new builds, the Waste Confidence Ruling at NRC, Canadian reactors, nuclear market competitiveness, nuclear good news, and a historical perspective on the Material Test Reactor at Idaho National Labs. This Carnival is a feast of information and commentary, and you won't want to miss it. And if you were able to guess the picture at the top of the Carnival, please tell me. 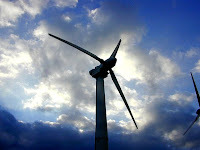 I have a wind turbine illustration for this post because the underlying issue in the Vermont Yankee tax case is about wind turbines. Well, actually, it is about the Clean Energy Development Fund (CEDF), which was funded by Vermont Yankee, and paid for many wind turbines and other renewable projects. Vermont Yankee's obligation to fund the CEDF ended in March 2012, and the people in Montpelier have been trying to do something about this ever since. "Doing something" consisted of finding a way to keep VY paying into the fund. They levied an extra $7 million dollar generation tax on Vermont Yankee...rather, the tax applied to any power plant, larger than 200 MW, which was built after 1965. There just happened to be only one power plant that met this description. Was this a targeted, non-constitutional tax on one business, or just tax business as usual? Entergy thought it was not constitutional. I thought the same. I blogged about the resulting lawsuit in The Latest Lawsuit: Is It a Constitutional Case in Vermont? Another reason for the wind turbine illustration, however, is that the new tax rate on VY became the same tax per kWh for Entergy and for (highly-subsidized) wind turbines. This allowed the state to make the case that these taxes were simply state business. Same tax for wind and nuclear, less for other electricity sources. The argument was "that's just how Vermont wants to do it, and no business of the federal courts." Yesterday, in federal court, the judge moved to dismiss the lawsuit. The question hinged on whether this was a state "tax" on a business (and therefore, state business) or a "levy" against a single business (and therefore, a constitutional issue). Judge Christina Reiss ruled that it was a tax and dismissed the federal case. This is clearly and certainly a set-back for Entergy, but it has been reported as "case dismissed" when really the ruling is more like "case redirected." To quote Andrew Stein's Vermont Digger article on the outcome: Judge Christina Reiss ruled that the generating tax was indeed a “tax” under the Tax Injunction Act, and Entergy does have a “plain, speedy and efficient” avenue through the state court system. Will Entergy move the case to the Vermont courts? I don't know. Tony Klein is the chairman of the Vermont House Natural Resources and Energy Committee; he was quoted in an article about this tax lawsuit. The article is by Dave Gram, and appeared on September 11 in Boston.com. I saved a copy to my hard disk, but I can't find the article on the web right now. Note: this was an article about the lawsuit. Rep. Tony Klein, D-East Montpelier and chairman of the House Natural Resources and Energy Committee, said Tuesday the state's intent was for Vermont Yankee to shut down. But Rep. Tony Klein, D-East Montpelier, who chairs the House Natural Resources and Energy Committee, and Rep. Dave Sharpe, D-Bristol, who is on the House Ways and Means Committee that designed the tax, steadfastly deny that the Legislature’s intent was to create a tax aimed at inhibiting the plant’s operation. Vermont Yankee requires a Certificate of Public Good from the Public Service Board (PSB) in Vermont. The PSB had opened dockets and held hearings for years about the certificate. I attended some of the hearings, and nuclear safety was a major topic, especially after the tritium leak. When the federal court ruled in January that nuclear safety was regulated at the national level, the Public Service Board realized that the early dockets were tainted with inappropriate material. It opened a new docket. However, the new docket (docket 7862) did not appear on the PSB website. I blogged about this in August, in the post Docket 7862 Where Are You? As the date of the public PSB hearing approached, I became more concerned about the lack of available docket materials. I needn't have worried. The docket is now on the PSB website. It includes the schedule and the documents for review. Here's the main website for Docket 7862 at the Public Service Board: Vermont Yankee Relicensing--Amended Petition. Please try to attend the hearing on Wednesday November 7 at 7 p.m. at Vernon School. This is the only public, in-person hearing that the PSB will hold for this docket. It will be held in Vernon, Vermont. More information about the hearing is at my post: Save the Date: November 7 for Crucial Meeting about Vermont Yankee. Meanwhile, the opponents are also mobilizing for this hearing. The Sage Alliance is holding a dinner and setting up phone banks to get people to the meeting. I don't find this particularly discouraging. The opponents have had a quasi-military system in place for quite a while. They have "affinity groups." They require a person to belong to an "affinity group" if the person wants to be arrested. They prepare for "actions." They have training and trainers. That's just what they do. What we have to do is simple: Show Up, and be willing to Speak Truth To Power. Tomorrow, Thursday October 25 at at 11 a.m, Dr. Robert Hargraves will discuss his book Thorium, Energy Cheaper than Coal, on WDEV radio in Vermont. It will be streaming on the Internet. Hargraves will be on Rob Roper's show, which is co-sponsored by the Ethan Allen Institute. The Ethan Allen Institute is the home of the Energy Education Project: I'm the director of that project. 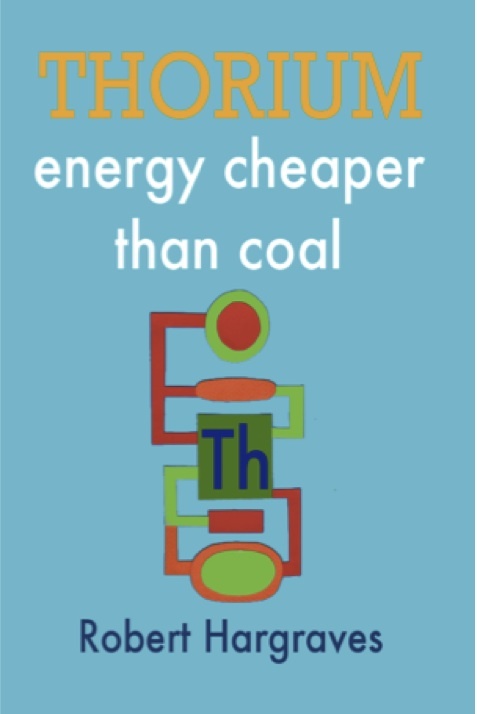 Thorium, Energy Cheaper than Coal is a very important book. I reviewed it very favorably on this site. I also recommend Hargraves own site about the book, which includes endorsements from winners of the Nobel Prize in physics. Hargraves will be on the radio for the entire hour, from 11 to 12, and you can listen from your computer by clicking either flash or no-flash at the bottom left on the WDEV website. You can also call in to ask questions: the number is 802.244.1777. 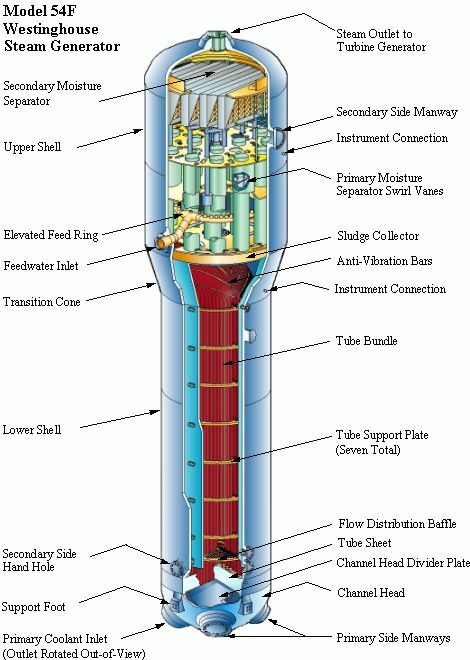 Learn about the Liquid Fluoride Thorium Reactor (LFTR). Ask questions of Hargraves. Try to catch this show! On November 9, 3:30 p.m., Hargraves will give an engineering seminar at Dartmouth on Thorium, Energy Cheaper than Coal. Obviously, you can't come to the seminar unless you live near Dartmouth. However, Dartmouth will post a video of the talk later in the month. When they do, I will link to it. If you live within striking distance, try to attend this seminar. I'll be there. 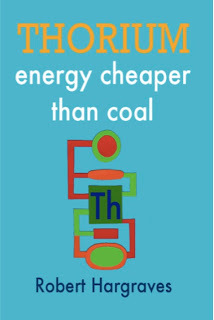 From October 29 through November 1, Hargraves will be at the Thorium Energy Conference in Shanghai, giving a talk on Thorium, Energy Cheaper than Coal. Both China and India are ahead of the United States on advanced fuel cycle reactors like the LFTR. But that's another blog post for another day! Meanwhile, if you don't want to travel to China, consider listening to the Rob Roper show tomorrow or stopping by Dartmouth's School of Engineering about two weeks from now. Once upon a time (last year as a matter of fact,) Vermont utilities bought 30% of their power from Vermont Yankee. 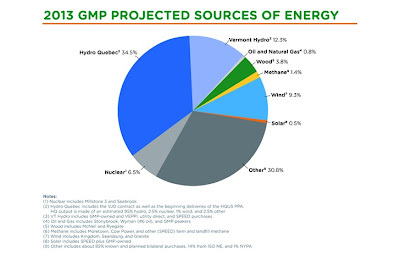 Now, in this power supply projection from Green Mountain Power, you can see a dark gray area called "other" at thirty percent of its generating mix. Green Mountain Power supplies about 70% of Vermont's power. Green Mountain Power is wholly owned by Gaz Metro of Quebec. What does this gap mean for Vermont? What does it mean for Vermont electricity prices? Where is the price of natural gas headed? I answer all these questions in today's post at ANS Nuclear Cafe: Mind the Gap: Vermont's Electricity Supply. Read it! You'll laugh, you'll cry, you might even argue with me about gas prices. However, I warn you: Pay no attention to the power plant behind the curtain. I just discovered these two videos about economic theory. The rap version of economic theory. At any rate, I think they are fun and thought-provoking and I hope you enjoy them. The 127th Carnival of Nuclear Bloggers is hosted this week at ANS Nuclear Cafe. The Carnival links to many of the best pro-nuclear blog posts of the week and is well worth reading. It's sort of like following nuclear subjects on twitter, but with faster references to the best material. This week, there's lots of good news. Two posts explain how recent data shows there is probably no melt-through of the reactor pressure vessel at Fukushima Daiichi number 1. In Canada, the major (750 MW) power upgrade of Bruce nuclear station is near completion. That's more upgraded power than all of the power from Vermont Yankee! I am impressed! More stories describe the new generation of nuclear vendors in Britain, and twelve new nuclear plants (world-wide) starting up in 2012. There's a great new video from Idaho National Labs, and a guest post at Yes Vermont Yankee about the non-safety problems of the San Onofre steam generators. The role of radiation in cancer treatment is explored and hailed. Another post describes waste processing...for solar panels. Not an easy job! Well, you can always read the technology posts! Get an overview of the entire world of nuclear energy! Visit the Carnival! 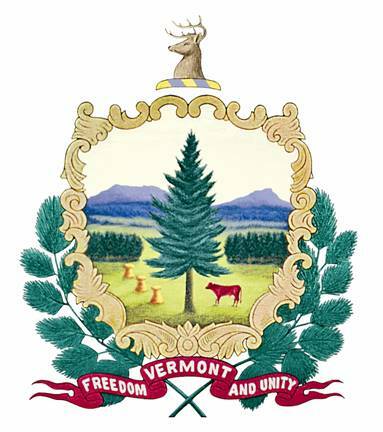 The Latest Law Suit: Is It a Constitutional Case in Vermont? Bill of Attainder or Just a Regular Old Tax? When is a tax unconstitutional? And when is it-- just a tax? As usual in issues concerning the state of Vermont and Vermont Yankee, this question will be hammered out in court. As a matter of fact, the question before the court right now is...which court? Federal court or state court? It's a question of jurisdiction, but the issue is a bigger question than jurisdiction. The question is whether a single, law-abiding business can be targeted by a state for a very special and onerous tax. 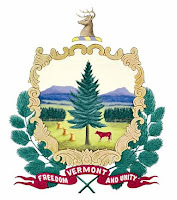 Is it legal for the state of Vermont to write a tax bill that increases taxes on one entity (Vermont Yankee) by about $7 million dollars a year, and increases no other taxes? We will see how this case develops, but I suspect businesses all over the country are a bit frightened by this one. If Vermont can write a special tax that applies to one business, so can Ohio. So can Cook County, Illinois. There will be no end to it, in my opinion. Once upon a time, and not so long ago, either, Vermont Yankee agreed to contribute a great deal of money to something called the Clean Energy Development Fund (CEDF). The amount varied with the price of power on the grid, but was often several million dollars, sometimes as much as $7 million. This tax funded wind and solar development, and some efficiency projects. In my opinion, the CEDF contribution requirements were the result of a shakedown. "Nice little power plant you got there. 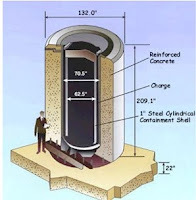 Be a shame if something happened to your ability to store fuel rods on site." Well. That's just my opinion. However it happened, (by negotiation, by shakedown) Entergy agreed to contribute to the Clean Energy Development fund, up until March 21, 2012, when Entergy's first NRC license ended. After March 2012, a great many legal obligations changed. Entergy was no longer obliged to sell power to Vermont utilities at a fixed rate, and Vermont utilities were no longer obliged to buy power from Vermont Yankee. Entergy's obligation to the Clean Energy Development Fund ended. And so forth. The lack of money for the CEDF has been very irritating to the groups in Montpelier that support wind turbines, etc. They want that Entergy money to come back, and pronto! Of course, the same people also want Vermont Yankee to shut down, and pronto! Logical consistency is not their strong suit. This year, the legislature passed a law adding $7 million dollars to the $5 million dollar generation tax that Entergy pays already. The idea was that CEDF would once again be funded by Entergy, and everyone will be happy. At least, that is what the legislators hope. Although two lawyers told them it would be a risky move, legislators are poised to approve a tax increase on the Vermont Yankee nuclear power plant. “There is some legal risk associated with increasing the generating tax,” Assistant Attorney General Scot Kline told the Senate Finance Committee this week. Kline said the tax change could be challenged in court...Kline said the Attorney General’s Office decided lawmakers should be told of the risk. Peter Griffin, a legislative lawyer, told the committee he agreed with Kline’s assessment. The legislature passed the bill anyway, of course. To some extent, I gotta smile at this. It reminds me of when Entergy sued in Federal Court in the main case about shutting the plant down. At that point, the legislature quickly passed a law saying Entergy had to pay the state costs and lawyers to defend the case. They passed the law, but the State Attorney General had to admit that the law was on "shaky ground" and never tried to enforce it. Plus ça change, as they say...The Vermont legislature never seems to learn. Oh yeah. I have an earlier post on this attempt to get money. 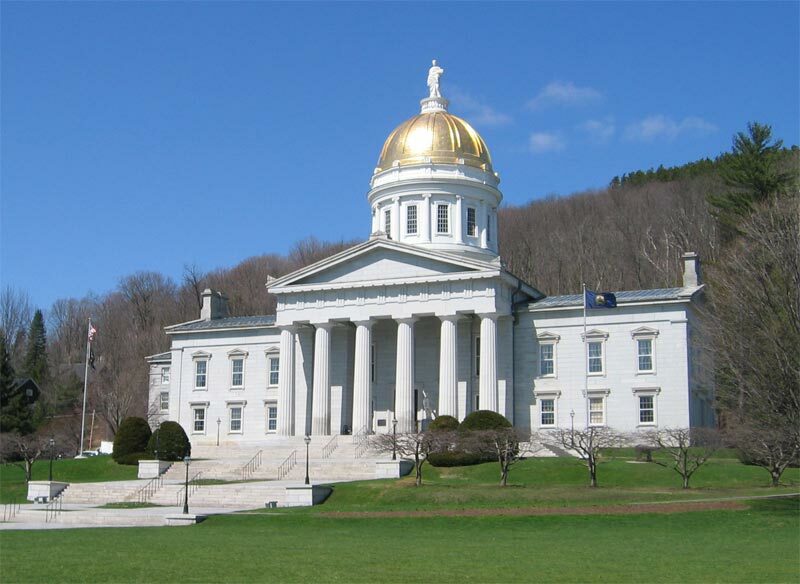 In January: Taxing Fuel Rods, Vermont Legislature Plans Another Law Which Will End Up in Court. Hanna thinks the equal protection argument might be Entergy’s strongest. “Where the Legislature runs the greatest risk is that they targeted Vermont Yankee,” she said. (a) There is hereby assessed each year upon electric generating plants constructed in the state subsequent to July 1, 1965, and having a name plate generating capacity of 200,000 kilowatts, or more, a state tax in accordance with the following table: at the rate of $0.0025 per kWh of electrical energy produced. There's only one such plant. It would have been easier to just name "Vermont Yankee." The state asked the federal judge to dismiss the Entergy lawsuit, claiming it was merely a matter of a state tax, not a federal or constitutional issue. Susan Smallheer of the Rutland Herald reports on the Entergy counter-argument that this is a levy, not a tax. This is clearly an on-going dispute which will be going on for quite a while. I will continue to cover it as more information is available. Meanwhile, let's hope that Cook County doesn't get any bright ideas on how to raise money for Chicago city government, by targeting the richest businesses in town! I used to live in Chicago, and I wouldn't put it past the city government to do that. Of course, now I live in the clean green state of Vermont. I recently blogged about how I "told you so" about the San Onofre Steam Generators: Steam Generator Thoughts and Future. I told you so. I noted that the new steam generators have problems, and I referenced my previous predictions that the SONGS plants will be restarted with lower water speeds and lower power output. 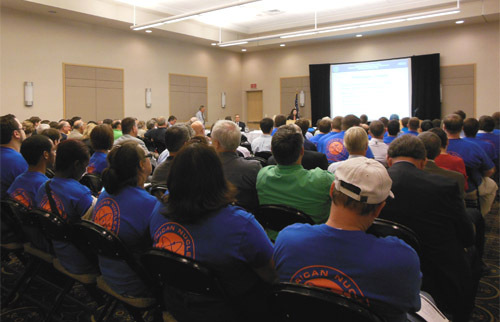 On October 9, the NRC held a public meeting near the plant. (Here's the L A Times report.) At the NRC meeting, a set of panelists expressed their views on the steam generator issues, followed by questions from the audience. One of the panelists was Ken Schultz, who is a nuclear engineer and a registered professional engineer in the state of California. Dr. Schultz has graciously allowed me to use his opening statement as a guest post. A summary of his statement might be: "Steam generator tube ruptures at San Onofre will not be a safety issue." 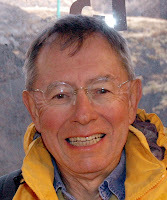 Dr. Kenneth R Schultz, Ph.D., P.E. We are here to discuss the NRC’s current regulatory oversight status of SONGS. I have interacted with members of the NRC during my career and have always found them to be technically skilled, extremely conscientious and critical of all data and conclusions given to them. In my interactions with them on advanced nuclear reactor designs, they were always interested in new designs with improved safety characteristics, and encouraged their investigation. I have no doubt that the NRC staff are applying the same skills and dedication to their oversight of San Onofre. I am concerned that the press is saying the NRC thinks this may be a long investigation. I think it’s important to keep perspective that the size of the investigation is consistent with the size of the risk. A case in point is the SONGS steam generators situation. These are clearly important pieces of equipment and cost a great deal. They appear to have been incorrectly designed and to be wearing out prematurely. Now, everything in a nuclear power plant must be investigated from a safety perspective, but the steam generators appear to not be a serious safety issue. Based on the tiny radiation dose that resulted from the failure of the Unit 3 steam generator tube, I estimate that even if all the 515 steam generator tubes that are affected by the premature wear problem were to fail simultaneously, the radiation released to a person standing at the worst place on the site boundary for the full duration of the accident would result in a dose of less than 1 µSv. Let’s put that in perspective. Low doses of radiation are a natural part of our environment. Life on earth evolved in the constant presence of low level radiation. Every year each of us living in Southern California receives about 3,000 µSv of radiation from cosmic rays, radioactive minerals in the earth and our food, and from medical and dental x-rays. If we live at higher elevation, like Denver, we’d receive about 6,000 µSv/year. If we fly a lot we’ll get an extra 2,000 µSv/year. So that extra µSv from a steam generator accident would be like spending less than a day in the mountains, or taking less than one airline flight. I don’t see this as a safety issue. Further, there is growing scientific evidence that low level doses of radiation are not only not harmful, but may be beneficial in stimulating the body’s cellular repair systems. Again, I don’t see the steam generator problem as a safety issue and urge the NRC to proceed with their investigation. The 126th Carnival of Nuclear Energy Bloggers is up at Entreprenuclear. This is the first time Entreprenuclear has hosted the Carniva. He has written are quite a few excellent posts on his blog, however. One of my favorites is his post: Debunking Antis (Peter Bradford)--the Weight of Lies. It reviews Bradford's Wall Street Journal article, and basically takes it apart. The post has a good song video, too. On to the Carnival itself! 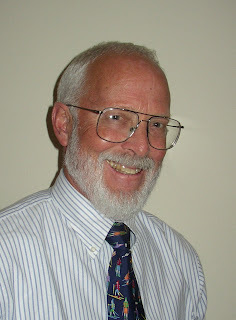 Rick Maltese has two posts, both ultimately about government and nuclear energy. One post is more about politics and nuclear energy, but sometimes it's hard to tell the difference. A post by Leslie Corrise also debunks Peter Bradford's Wall Street Journal article. Rod Adams posts about a rational discussion of nuclear: Rod has been following George Monbiot and Theo Simon's blog discussion. At ANS Nuclear Cafe, Howard Shaffer reports on the founding of the anti-nuclear movement, as reported by two founders visiting UMass Amherst last week. 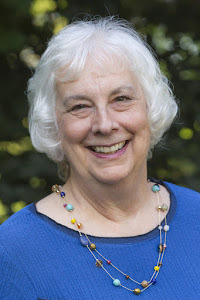 Also at the Nuclear Cafe, Margaret Harding blogs from an American Nuclear Society meeting in India. 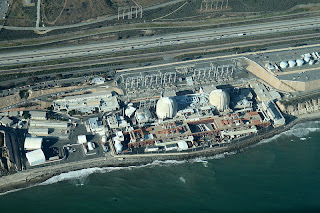 At this blog, I write about San Onofre. Nuclear Diner describes Russian plans to raise two sunken submarines. Atomic Power Review's Will Davis describes the Toshiba purchase of the Shaw group holdings in Westinghouse. On to Japan, and to emergencies of various types. Jim Conca writes in Forbes about the Japanese attempts to set up new regulatory authorities. Well, the title of Conca's post is "Fukushima slugfest" about how the new regulatory authority will work. Meanwhile, the Fukushima Fifty are ashamed to show their faces in Japan. Radiation phobia has led to severe discrimination against anyone affected by Fukushima. William Tucker writes about this at Nuclear Townhall. While we are on the subject of Japan, we should note Leslie Corrice at Hiroshima Syndrome examines recent Japanese data and comments that it is possible that none of the reactors at Fukushima had a reactor pressure vessel "melt-through." In other words, the melted material probably stayed in the pressure vessel, where it belonged. Finally, on the subject of emergencies, Gail Marcus at Nuke Power talk describes how emergency planning for nuclear plants increases the planning capabilities of the communitie. This leads to more effective emergency planning for floods and chemical spills. She gives powerful examples of this effect of nuclear plants on their communities. Come to the Carnival! Enjoy! It is always a treat to go to the Carnival! 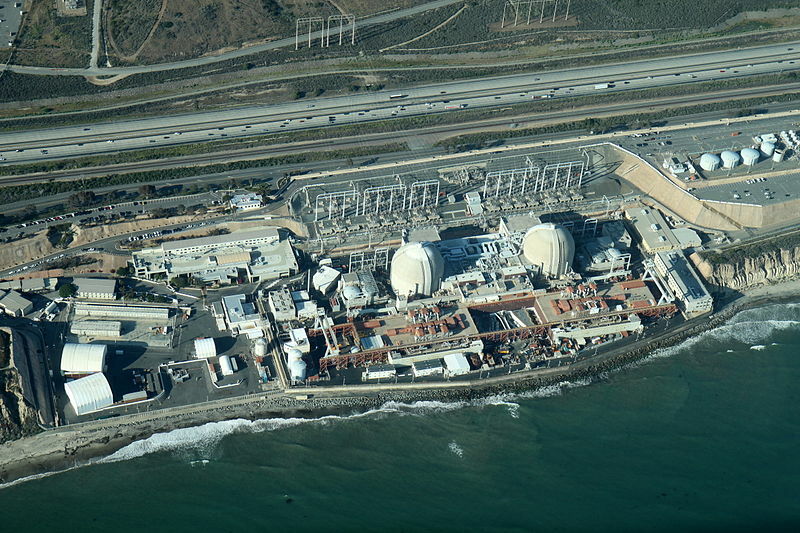 San Onofre Thoughts and Future. I told you so. When I was project manager at the Electric Power Research Institute (EPRI), my speciality was corrosion prevention in steam generators. Due to this background, I am very interested in the problems at the San Onofre Nuclear Generating Station (SONGS) new steam generators. I care, even though SONGS is far away from Vermont. SONGS problems are due to vibration, and my expertise was materials and water chemistry. But still. The Steam Generator Project Office was a pretty small group at EPRI: there were about ten of us. We all learned about everything concerned with steam generators. We held formal seminars for our utility sponsors, and we had informal talks and seminars within the group. EPRI wouldn't have asked me to perform a vibrational analysis (I'm a chemist), but we all discussed the steam generator research results. SONGS recently replaced its steam generators, but the new ones didn't work well. They showed a great deal tube-to-tube wear. Due to vibration, the tubes bump into each other and fret each other. The steam generators at Unit 3 suffered a lot of tube-to-tube wear, and one tube even had a small leak. Due to the leak, the operators shut the plant down. Unit 2, on the other hand, had only two tubes with indications of significant tube-to-tube wear. These tubes have been plugged. Five hundred more tubes were plugged as a preventative measure. 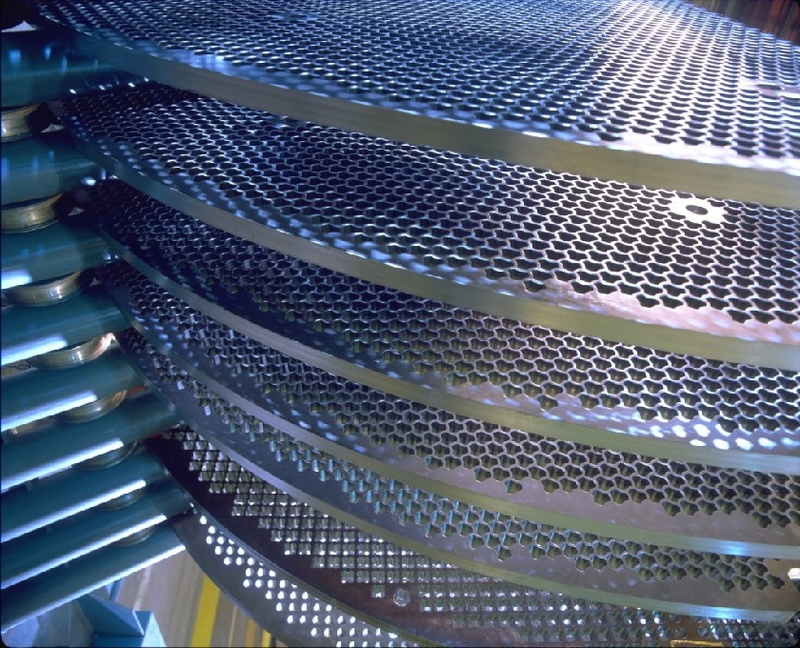 Steam generators have huge numbers of tubes (more then 9700 tubes per generator at SONGS). When a generator is built, it is assumed that a certain percentage of tubes will be plugged over the lifetime of the plant. The tube plugging at Unit 2 is a lot for a young plant, but hardly near any kind of limit. Five hundred tubes is about 2% of the tubes. Will more tubes need plugging in the near future? Probably not. Edison plans to stop the vibration by changing the water velocities. The plant will be run at 70% power, and be checked after half an operating cycle. This should fix the problem. I think the most complete description of the tube situation is in the letter from Southern California Edison to the NRC, explaining how the NRC criteria for restarting Unit 2 will be addressed. More information can be found at the SONGS site: the Information Package is especially readable. Vibration at SONGS Or "I Told You So"
Luckily, vibration problems are usually comparatively easy to fix. Change the speed of the liquid, and the vibrational mode will change. It can be as simple as that. The root cause analysis will come up with something vibration connected. To cure it, some kind of derating of water flow (primary side and/or secondary side) with ameliorate the problem well enough to keep the generators in operation while the owners and the manufacturers sue each other. The generators will be replaced early. Well, the last part hasn't happened, but the first part is on its way. In July, a post at my own blog called San Onofre, Gundersen and Vermont Yankee received quite a few comments. In the comment section, I predicted that San Onofre would be back on-line in a few months---except that it might take a long time to convince the NRC that the new vibrational models were correct. This also seems to be exactly what is happening. Also, starting Unit 3 will be harder much harder than starting Unit 2, because the damage at Unit 3 was greater when discovered. My crystal ball was good, but not perfect. Well, yes I am. The vibrational problems at Unit 2 are solvable, just as I predicted. I am tired of those who predict doom claiming to always be right, while people who know something about nuclear power, and people who predict good things on occasion--we don't bother to take any credit. In other words, I'm not boastful. I am just standing up for the nuclear industry! Oh. Okay. I'm boastful. In other words: "I told you so." 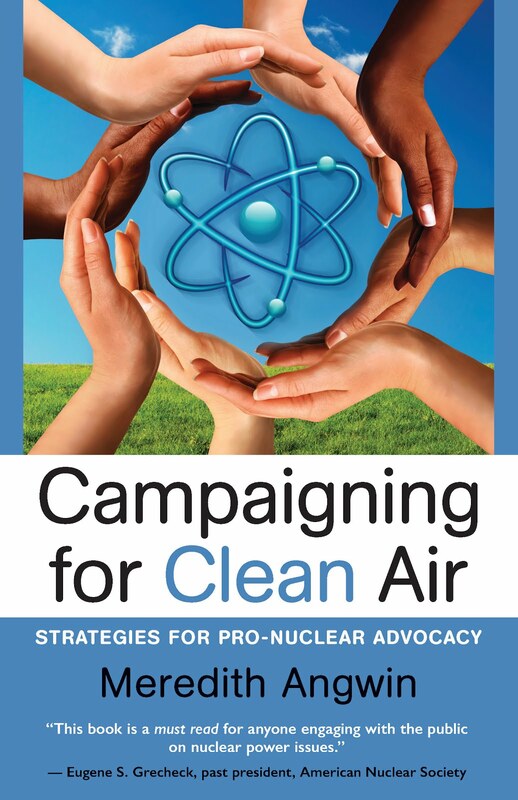 Rod Adams on whether nuclear power has been captured by overly-conservative group-think. SONGS website on issues, with many links to documents. Next Big Future: Carnival of Nuclear Energy 125. Once again, Brian Wang has put together an excellent Carnival. Uranium 233 as a resource for the future; Japan's new nuclear safety authority (is it good enough? ); x-rays and science; the use of nuclear "waste" to promote safety and health; detailed post on potential San Onofre restart; public pro-nuclear activities in Tennessee, Quebec and Japan; new plants under construction...in Japan; and the closing of a library (the Nuclear Information Library)..also in Japan. Come to the Carnival. You never know what you will find there! But it is fun to take the trip! Low level waste is a success story, but high level waste is a legal question at Vermont Yankee. High level waste storage has become a central issue as the federal court case begins the appeals process. In the past, the Vermont legislature attempted to shut down Vermont Yankee on several pretexts. One pretext was that the original Memorandum of Understanding allowed Vermont Yankee to store spent fuel produced while that memorandum was in effect, through March 2012. The legislature claimed that spent fuel produced AFTER March 2012 was a different story.Vermont Yankee had no right to store that fuel. In January, Judge Murtha ruled that Vermont could not shut down Vermont Yankee over spent fuel storage, because spent fuel is regulated at the federal level. That seemed clear enough, but the Public Service Board (PSB) seemed to take the attitude that Murtha meant the Vermont Legislature couldn't refuse to allow spent fuel storage but surely the PSB could refuse to allow it. That seems like that statement was pretty clear. Of course, the state doesn't give up so easily. Recently, the state asked for "expedited oral hearings" in the federal appeals process, mainly due to the spent fuel storage issues. Several days ago, the circuit court judge ruled in their favor about the hearing schedule. There will be expedited oral hearings, because maybe, just maybe, the state actually does rule spent fuel storage, and all that Federal prerogative stuff isn't very important (sarcasm alert). As noted in the Brattleboro Reformer article, the state... argued that an expedited resolution is necessary to determine what will be done about the storage of spent nuclear fuel produced by the plant. The judge granted their request for an expedited hearing. Here's a link to the State argument for expedited hearings, the Entergy response, and the Judge's ruling allowing expedited hearings. To me, it seems clear that it is a federal prerogative to regulate spent fuel. Nevertheless, the issue will be heard in court once again. The state will get its hearing in the federal court, with "expedited oral" arguments. Vermont Yankee shipped its first container of low-level waste to a disposal site in Andrew, Texas. The original agreement for this disposal site was signed in 1993--at that point, only Vermont, Maine and Texas could use the site. Later Maine pulled out and Texas announced plans to expand the site to take wastes from more states. Naturally, this announcement from Texas was a view-with-alarm situation in Vermont. Many anti-nuclear people in Vermont claimed that the Texas site would fill up and the site wouldn't have room for Vermont Yankee rubble when Vermont Yankee would be decommissioned. This non-rational "controversy" about the Texas site generated many comments by Governor Shumlin and many column inches of coverage in local papers. I didn't cover the low-level-Texas-disposal-site-size issue in this blog, because I try to cover reality, not political posturing. Vermont shipped some low-level material to Texas last month. You can read about at and see the echoes of the posturing in this article by Andrew Stein in Vermont Digger: Vermont sends first shipment of radioactive waste to Texas. Sally Shaw, active plant opponent. Shaw is semi-famous for putting manure compost into the water glasses of NRC and Entergy people at an NRC meeting, and throwing compost at the Vermont Yankee site vice president. Okay, I'm your friendly neighborhood pro-nuclear blogger, and this time I'm not writing about Vermont. Here we go on a world pro-nuclear tour! There were three pro-nuclear events, none in Vermont, and they don't get much attention in most of the media. It takes almost no time to vote Yes on the question: Should the World Increase Its Reliance on Nuclear Energy at this Wall Street Journal poll. Do it now! And the tour begins in Tennessee. ANS members and ANS student members testified at a hearing about MOX fuel in Tennessee. The Tennessee valley hearings are noted for anti-nuclear "zombies." These are people wearing torn clothes and fake blood, and they come to hearings and make about as much sense as real zombies would make...if there were real zombies. At this hearing, ANS members were informed, articulate and visible. Many wore blue ANS t-shirts, visible in the picture at the left. At the hearing, nuclear and anti-nuclear people spoke politely, and some even chatted and exchanged information after the meeting. The meeting was livetweeted using the hashtag #MOXChat. Laura Scheele of ANS Nuclear Cafe wrote an excellent retrospective about the meeting. The future of nuclear at #MOXChat at ANS Nuclear Cafe. Oh yes, I suspect the zombies might have heard that the ANS members would be at the meeting, because....no zombies appeared. I am particularly fond of these pictures which I "borrowed" from the FB page. One picture talks of the fate of 800 families, and two pictures are about the children (Les Enfants) of Gentilly. Les Enfants? What is that about? Well, there's a film about Gentilly which focused on birth defects, childhood cancer, and so forth, all supposedly caused by the plant. The Canadian Nuclear Safety Commission wrote a one-pager about the falsehoods in the film. The one-pager is an excellent answer to many falsehoods about nuclear energy. The young people in the parade and with their pictures on the poster are another answer to these falsehoods. In the interview below, local officials speak of their support for the plant and the announcer says 1000 people are there for the march. Well, this is NEVER going to get into the main media, I suspect. But here's a 1000-person pro-nuclear rally in Japan, in front of the Prime Ministers house! It's only reported in somethng called The Liberty Web, but it happened all the same. 1000 people gather for a pro-nuclear power demonstration on Sept 25. One of the spokesmen presented a statement to the cabinet, including these words: “We have heard from the factory mangers that they have had to fire part-time workers, because the company took measures to save electricity. However, the victims of this policy could not speak up on account of the flooded denuclearization media coverage." Not a demonstration, but a Japanese professor is battling the flood of mis-information in a letter and blog post. You can read Jun Takeda's post here. Here's a quote: Based on radioactivity dosage, the risk of Fukushima residents developing thyroid cancer is less than one person per 10 million per year. Since the population of Fukushima Prefecture is two million, thyroid cancer will not result from these low doses. Truly, people with only amateur knowledge of radioactivity need to stop paralyzing the citizens of Fukushima and the entire country with fear. All over the world, people are standing up in public and supporting nuclear power. The times they are changing, and it's about time.